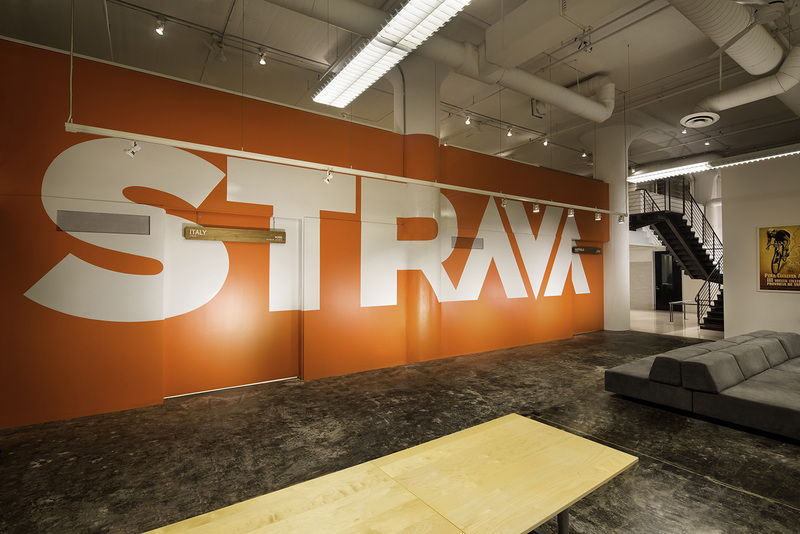 Strava is a start-up venture capital funded firm that has developed a Fitness App for biometric tracking of biking and running programs. 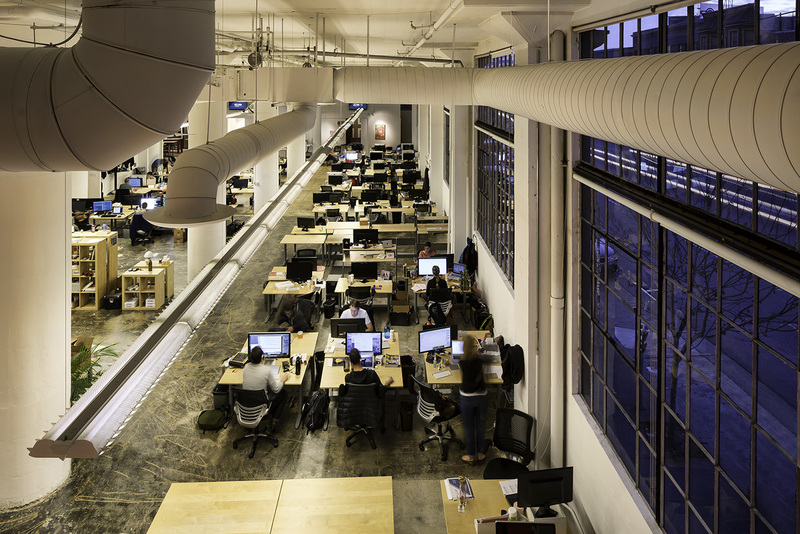 This 17,000 square foot creative space centered around collaborative environments that reflected their brand. All employees bike to work, so the main entry became the rear loading dock of this old industrial warehouse building. 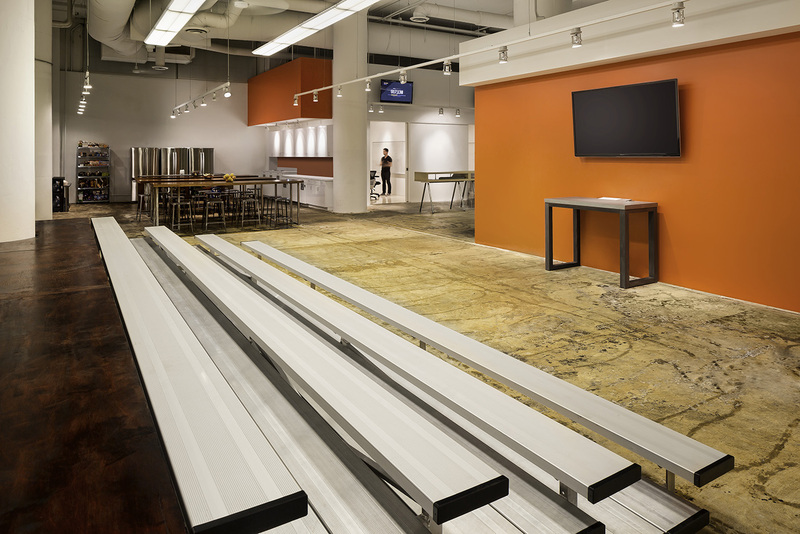 As a way to highlight employees’ accomplishments, Lionakis incorporated a “brag” wall where employees can hang race number bibs as physical representation of how the App helped them achieve their goals.